FFL86D (1966) Bedford VAL14 . Duple Vega Major C-F. Ex-Whippet . Hilton Cambs. Seen 2010 Great Dorset Steam Fair . 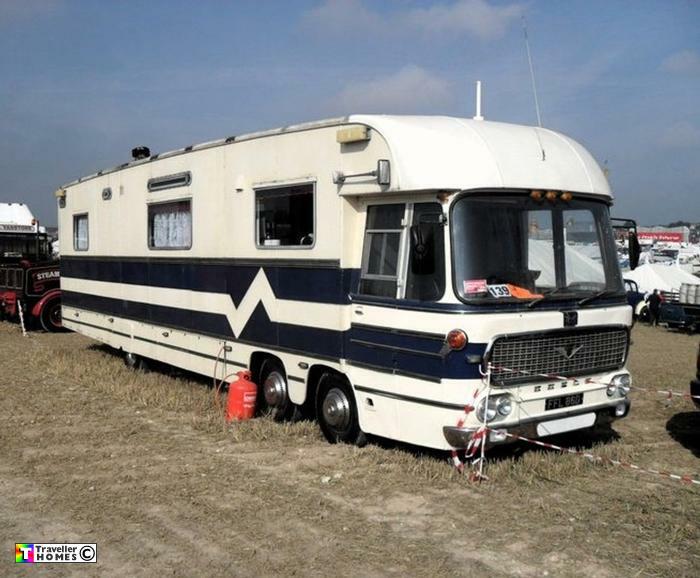 Not our sort of traveller & now in collectors hands , but a very nice example of coach to living van conversion ! photo = Gary Conway .